I come before you today to tell you about why those changes happened and how we intend to move forward from here. As most of you know by now, three members of Government made the decision to join the ranks of Opposition. I accepted their decision and acted to fill the ministerial posts, naming Honourable Marlon Penn as Minister for Health and Social Development, naming Honourable Hubert O’Neal as Junior Minister for Tourism, and naming Honourable Alvera Maduro-Caines to fill the position of Junior Minister for Trade, which Honourable Penn had held. Thanks to the overwhelming mandate given by the people of the BVI to the National Democratic Party in the last general election, the departure of colleagues to the Opposition bench does not impact our ability to govern. We retain a majority in the House of Assembly. More importantly, we retain our core vision and purpose. It is the same purpose that has guided the National Democratic Party since the day we were formed. That purpose is simple and it is unwavering – to invest smartly and strategically in order to secure a proud, prosperous future for the BVI. Ladies and gentlemen, that vision has never been about any one individual. Politicians come and go. Ministers come and go. Governments come and go. Indeed, my own time as leader of this party soon draws to an end. But the vision – that is what endures. If it is sound and true – then it outlasts us all. 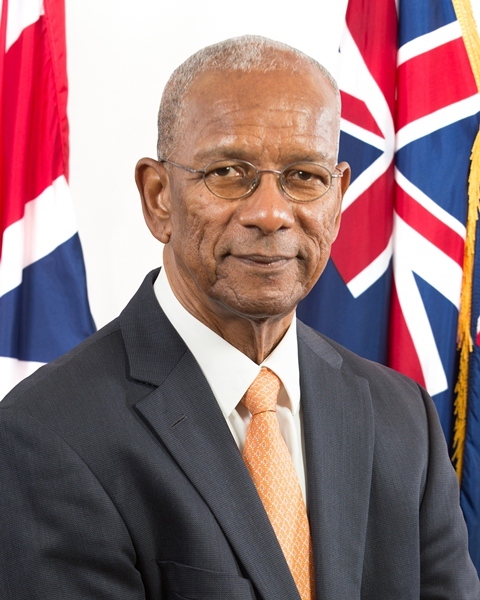 And it is our commitment to that vision that enables us to weather these rocky days and to assure you, the people of the BVI, as well as our friends around the world that this Government will continue to competently lead through to the next General Election and the formation of the next Government. The important business of governing this Territory has not and will not be adversely affected. That steadfastness is more essential than ever. The BVI suffered great devastation last year. I thank God that we are on the road to recovery. As long and difficult as this journey has been, let us note with humble gratitude that we are well ahead of many in our region who are still struggling to restore basic services. We have achieved this progress thanks to your resilience. Because of your determination. Together we are building back better. Together we are building back stronger. Having consulted throughout the Territory on what the recovery priorities should be, this administration passed the Act to establish the Recovery and Development Agency which is helping to rebuild our schools, our buildings and our infrastructure. I am grateful to our private sector partners who are helping to make this happen. Thanks to these efforts, the signs of recovery are everywhere. Go to Cane Garden Bay and see the charter boats returning. Go to the Pier and see the great ships of the Disney Cruise Line, Norwegian Cruise Line and others bringing visitors by the thousands to our beautiful islands every day. Go to our five star hotel properties some hard at work developing plans to reopen for the next season. Others are already up and running. Go to Norman Island and Virgin Gorda, where international investors just committed hundreds of millions of dollars to build and upgrade resorts that will create jobs for our people, attract more visitors to these islands and inject more money into our economy. This recovery would not have been possible without the strong foundation we have all built together. Together, we built the cruise pier park, which has enticed the ships that bring business to our tour operators and taxi drivers, vendors and restauranteurs. Together, we built the educational system that is empowering our students to top the Caribbean on the CXC exams, preparing them to lead the next generation of businesses, government ministries and community organisations. Together, we invested in the health of our people, with the new state-of-the-art Peebles Hospital and the conversion of the Iris O’Neal Clinic on Virgin Gorda into a mini hospital. Together, we established the National Health Insurance Programme, to ensure that everyone can benefit from adequate health care. Together, we built up the reserve fund to give our Government financial stability in the face of economic hard times. Together, we improved our roads, water and sewerage systems so that more of our people would enjoy that quality of life they deserve. And, my fellow BVIslanders, together we have stood shoulder-to-shoulder as one people and resisted with all our might the unjust and unfair efforts by some in the United Kingdom and other countries to impose upon our financial services industries regulations that would do nothing to improve the safety of the financial system and everything to undermine our ability to compete globally. My fellow residents, the direction and the vision for the development of our Territory continues. We will continue to do so as an open, transparent and accountable Government. In the next few days, I will be laying on the Table of The Honourable House, the Audit Report on Government Accounts for 2015 and the Auditor General’s Report on the Pier Park. My fellow BVIslanders, I know these are hard times. But as is often said, challenges don’t build character – they reveal character. And I sincerely believe that the character of the BVI is being revealed in these days. We have suffered terrible blows. We have staggered. But we have not fallen. We remain standing. We remain stable and strong. We remain united as one people – a people that sometimes argue and disagree as all free people must. But through it all, a people bound together by a common heritage, common values and a common destiny. That foundation is what we rely upon always to get us through the hard times. This Government has undertaken a reshuffle. We will be fine. The people of this Territory have gone through far worse and have endured. Over the next few months, we will go through a General Election campaign. As is always the case, the campaigning will be rough and tumble. That is normal. But I call on all BVIslanders and all those who aspire to lead to exercise dignity and common sense and respect for each other and our community as we go through the political season. For our political divisions are shallow and small when compared to the vastness of all that we share and which binds us together as one people. And so I ask you to keep your faith in your fellow BVIslanders no matter their party or politics. I ask you to keep your hope intact for the future of our Territory. And, above all, I ask you to continue to seek the blessings of God for your Government, your neighbors and for our entire beloved community. Thank you and may God continue to bless these Virgin Islands.